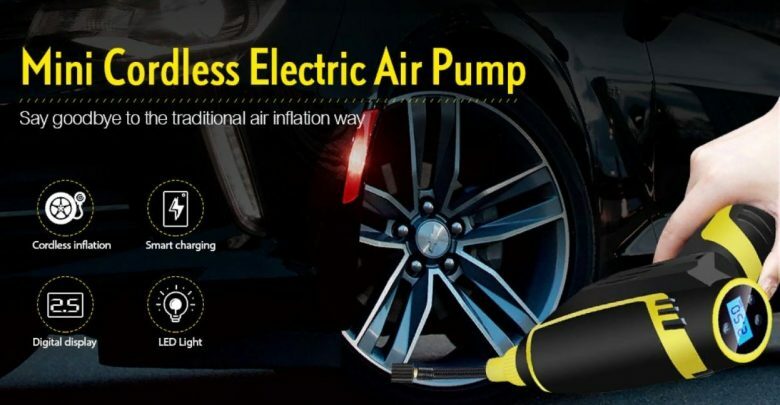 Cordless Handheld Mini Electric Car Air Pump is different from other traditional tire inflator air pump, this air pump is cordless, portable and has an LED light. It provides the best solution for your night emergency. 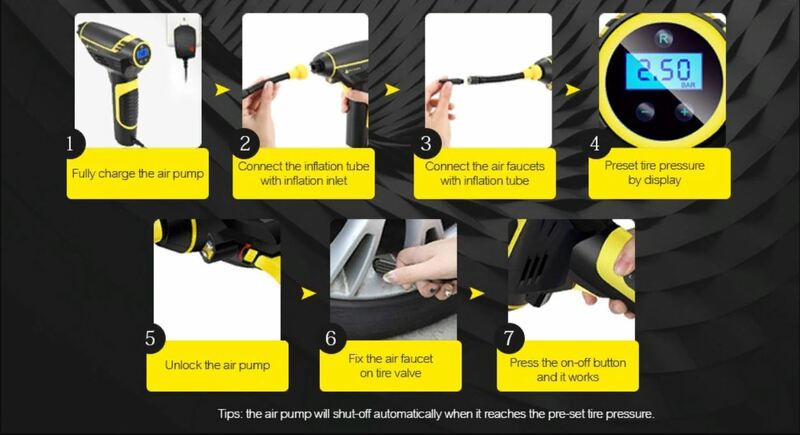 Keep one in your car, and you can inflate car tire anywhere and any time. With the Cordless Handheld Mini Electric Car Air Pump you don’t need to be afraid of your tires, It is equipped with LED light, this mini tire pump can not only inflate air for your tires, but also illuminate for you. No need to worry when you have a flat tires when driving at any time of the day. 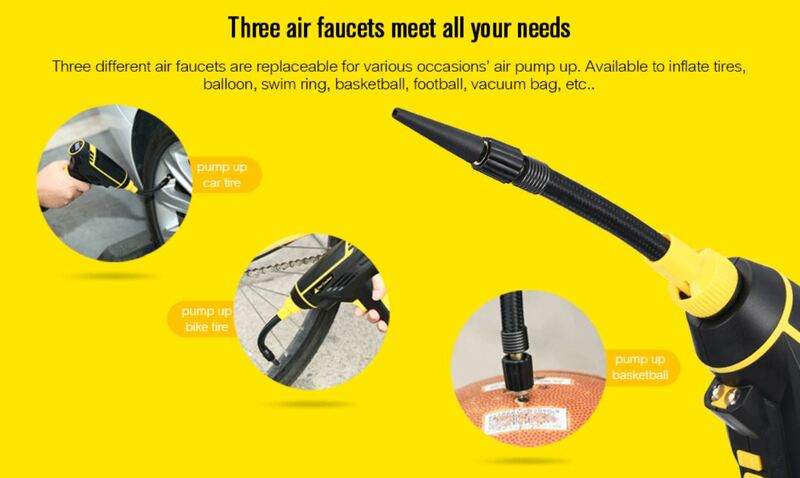 The Cordless Handheld Mini Electric Car Air Pump has three different air faucets that are replaceable for various occasion’s air pump up. It is available to inflate tires, balloons, swimming rings, basketball, football, vacuum bags, etc. The Cordless Handheld Mini Electric Car Air Pump is more than a companion.
? Suitable for car / motorcycle / bicycle tires, basketball, football, swimming rings, air cushions, inflatable toys, etc. The Cordless Handheld Mini Electric Car Air Pump has dimension of 23.00 x 18.00 x 6.70 cm and weighs 0.7220kg, this gadget i very light to carry anywhere, anytime. 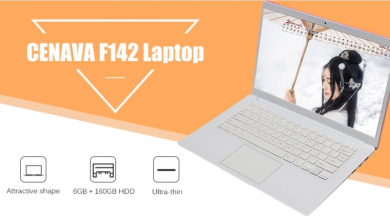 It also features a decent 2200mAh built-in battery which assures you a reliable usage time. The Cordless Handheld Mini Electric Car Air Pump is currently on sale at Gearbest for $39.99. I am a huge fan of Xiaomi and my keen interest in anything tech+my enthusiasm in writing brought me to the tech writing world. Always with my Mi MIX 2S but its so sad that I will be swapping to the Mi MIX 3.